Based on reviews from 67 experts and 3,842 users. 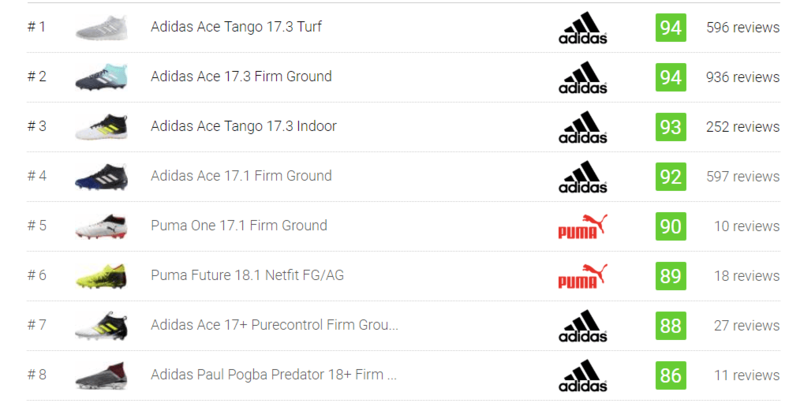 Learn how our rankings work or see our guide to mid football boots. Updated Apr 2019. No stranger to history, the first ever collared boot dates back to 1526 during King Henry the VII’s reign. While the pair did not survive the test of time, the boots were described to be ankle-high and made out of leather. As old things become new, it is inevitable to see football boots sporting collars once again. While not as dramatic as the King’s boot, football brands have managed to create their own modern version of the style. 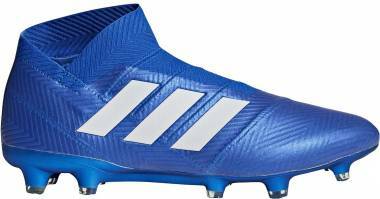 Making its comeback, the first modern collared boot was released in 2015 by the football giant, Nike. 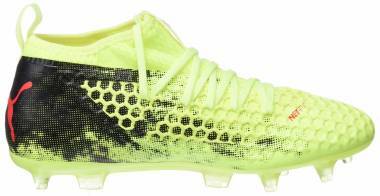 Incorporated into the Nike Magista Obra, the release brought a freshness to football boot construction. The high-top football boot brought with it a new fit and feel to players on the pitch. Since then, collared boots have been on a steady rise with brands like Adidas, Puma, even Umbro creating their versions of the design. While low-top boots are here to stay, there have been variations of boot collars available in the market including mid top football boot models. While high top football boots, also referred as ⅝ cut, creates a sock-like sensation and goes way above the ankle; mid top football boots, on the other hand, provides a slightly looser fit with the collar usually stopping right before the ankle area. Several brands including Adidas, Puma, and Umbro have their version of the mid top football boots, but Nike has stuck to the high top and low top football boot variations. Low top football boots - The usual cut for a traditional football boot, a low top collar stops before the ankle area. 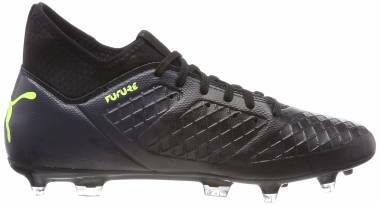 Mid top football boots - Mid-top collars stop just above the ankle area which offers more support and protection compared to low-cut boots. High top football boots - The collar is extended and sit higher than a mid top football boot and are also referred to as the ⅝ cut. Primeknit - This material has been a familiar feature in most of Adidas’ football boots. 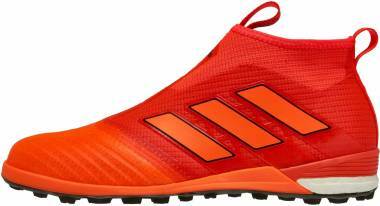 Created to provide a sock-like fit and one-piece construction, it complements the brand’s mid top football boot models. 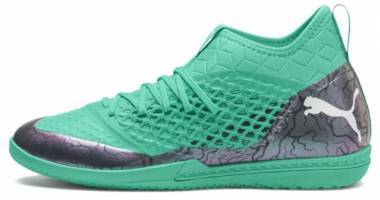 This technology also provides a lightweight feel and stability to the shoe through its ‘fused-yarn’ technology. This technology boasts the ability to adapt to the flexibility and support needed for each wearer’s foot. 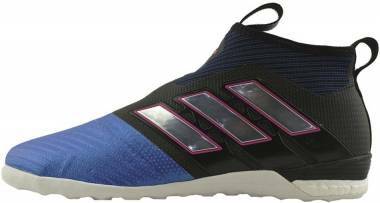 The Adidas mid top football boot model with this technology is the Adidas Ace 17.1 Primeknit. Techfit - A well-known Adidas technology, Techfit has been used in several of the brand’s products. While known to be applied in Adidas’ football boots, this technology is also used in the brand’s clothing products. When implemented in football boots, this innovation aims to create a lightweight feel and a good fit, all with zero wear in time. 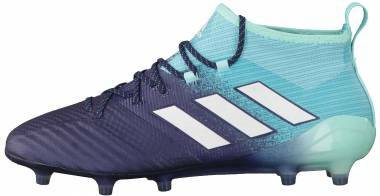 This technology is mainly applied to Adidas’ X collection and can be found in the Adidas X 17.3 Firm ground boots. 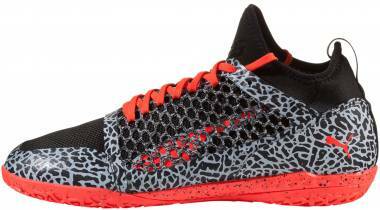 Evoknit - Puma’s answer to knit-inspired upper’s rise in popularity is Evoknit. This technology is not unique to football boots as it is also incorporated into Puma running shoes and football apparel. This material boasts its ability to provide a naturally lightweight feel and flexibility without compromising support. The Puma mid top football boot featuring this technology is the Puma Future 18.1. 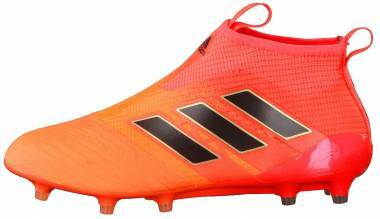 Adidas Ace 16.1 Primeknit - As suggested by its name, the Adidas Ace 16.1 Primeknit features a 360-degree Primeknit upper which promotes control. This material also extends to the boot’s mid cut collar which the brand referred to as their Primecut collar. The football boot was released in 2016. 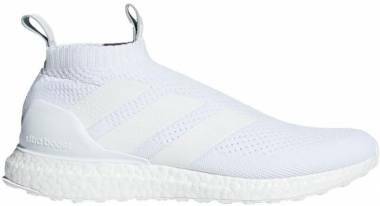 Adidas Laceless Ace 16+ Purecontrol - This laceless shoe comes with a compression knit upper which keeps the foot locked down. The mid top construction helps with this, as well. This boot was released in several colorways including Solar Green/ Black and White/ Gold (Stellar Pack). Adidas X 16+ Purechaos - The Adidas X 16+ Purechaos has a synthetic upper with a Non Stop Grip lining - a feature that promotes control by adding grip and friction to the ball. Although this boot looks laceless, a surprising feature is that a lacing system has been placed under the top upper layer. Additionally, the ankle collar is made out of a Techfit material. Puma One 17.1 - This mid top football boot was released in 2017 and brings together the best features of the Evopower and Evospeed silos. It is also reminiscent of the Evotouch silo through its Evoknit collar. A calfskin leather has been used in the upper which is why the boot is lightweight while promoting boot control. 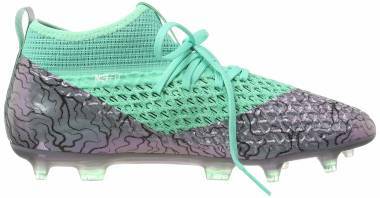 Puma One Future 18.1 Netfit - A fairly recent release, the Puma One Future 18.1 introduced a new lacing innovation. 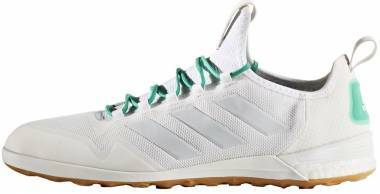 Netfit is a new lacing system that was used in the brand’s running shoes before grazing the upper of this mid top football boot. Stemming from its name, Netfit makes use of the upper mesh’s holes by letting the laces through it, giving way to infinite combinations. This, in turn, provides a truly personalized experience. 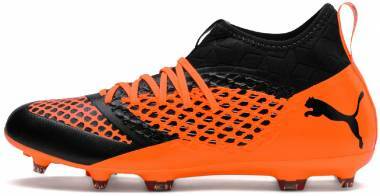 Of course, this cleat has a mid top collar which goes up until the ankle area locking down the foot. Every football boot brings a different fit and feel depending on the materials used, what collection it’s from and its cut. This is true for mid top football boots; let’s take a closer look at what this cut brings to the table. Wearing a mid top football boot during play can prevent debris from entering the shoe. Because this specific cut locks down around the ankle area creating a tighter fit, it essentially seals the foot from outside elements like stone rubber pellets, especially from artificial grass. Mid top football boots tend to be more water-resistant. Contrary to popular belief, water does not seep in from the upper itself. It is absorbed from the gaps of the shoe usually from the sides or where the tongue is located. While it is important to note that no cleat is entirely waterproof, mid top football boots are more water-resistant. Because more materials are used in the construction of mid top football boots, it can add to the boot’s weight. This type of cut has more contact surface mainly the heel and the ankle area. With this, there is a higher possibility for abrasion, blisters or discomfort - an important thing to take note, particularly when one’s planning to wear a mid top football boot during a 2-hour long football session. Hence, it is best to break in the pair properly. While each type of collar in football boots brings its own set of advantages and disadvantages, what it comes down to in the end is personal preference. Some might prefer the feel of a low cut football cleat because it’s what they are used to, while some might feel more secure with the support and fit of the mid top or even high top models. Are mid top football boots here to stay? 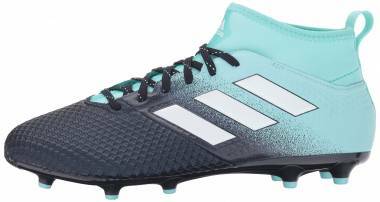 While we can’t give out a direct answer, what’s noticeable is that high top or mid top football boots are more popular with the younger generation; this makes wearing this type of cut a norm. 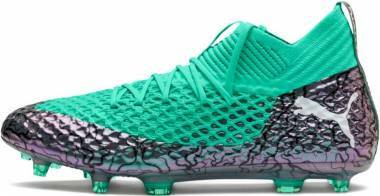 What we can be sure of is that as long as there is a demand for mid top football boots, the football brands won’t be halting their production soon. Which is the best collar: low top, mid top or high top? Each type of collar brings its own set of benefits and downsides. While some wearers prefer the freedom that a low top collar brings, other players like the sock-like, secure feel of the mid top or high top collar. Needless to say, because collared football boots are relatively new to the market, it takes time in getting used to its unique feel compared to the more traditional fit of a low-collared boot. Although, in the end, what it comes down to is personal preference.